September 26, 2014 − by SFS Ltd − in News − Comments Off on Is ‘laughing gas’ a security concern? Nitrous oxide, also known as ‘laughing gas’ is a legal drug that becomes popular amongst young people, due to its effects similar to those of hard drugs such as heroin and crack cocaine. Inhaled from party balloons, ‘laughing gas’ creates hallucinations and a sense of short time euphoria. 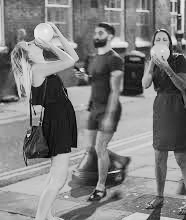 According to medical professionals, inhaling ‘laughing gas’ can have the effect of fainting, regular use of this party drug could be even fatal. Home Office statistics showed that ‘laughing gas’ is, after cannabis, the second most popular drug among people aged 16 to 24. 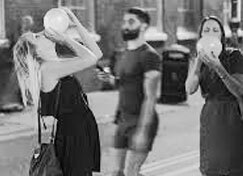 But despite of health warnings and even Home Office recommendations that festivals should crack down on ‘laughing gas’, the drug remains legal to inhale. In a BBC investigation, security was criticised that they stood by and did nothing, allowing consumption of laughing gas at one of the UK’s top dance festivals. So, is ‘laughing gas’ a security concern? Obviously, even though this is a legal drug, the risk of having customers passing out due to nitrous oxide is a security concern. This can be controlled by conducting searches, not allowing entry to or ejecting those who are expected to inhale the gas. A “zero tolerance” attitude to drugs is always a good practice, regardless of whether the substance was illegal or not.